TS Freight is an acclaimed international transport service which enables businesses with their freight import from China to UK. We are professionals with more than 10 years of experience in the overseas shipping arena, and have developed our logistics activities to perfection. We have worldwide connections with the best freight forwarders and customs agents, and therefore we make it easy for our customers to move their goods from most major Chinese cities to major cities in the UK. Most major cities in China are covered by our network of personnel and these include Shanghai, Chengdu, Hong Kong, Dalian, Nanjing, Qingdao, Shantou, Shenzhen etc. The list of major cities we ship to in the UK include London, Liverpool, Southampton, Dover, Newhaven, Newcastle and others. We are highly trained overseas movers with a team that pays great attention to detail and ensures that your cargo is picked up, inventories, packed, crated and shipped with the greatest care. We make sure that your goods reach you in a timely manner and in perfect condition with first class monitoring systems and coordination within the team. As the best freight forwarder in China, we have thorough understanding of the export procedures and global customs regulations. Our connections with customs agents across the world, and on the route between China and the UK in particular, allow us to guide you to the relevant agencies to ensure that your paperwork and licensing is in order before import. 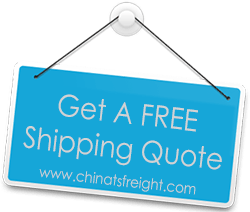 When you choose our shipping services, you can be certain that we will carry out your cargo shipping from China to UK with the greatest care. Every one of our customers is important, and therefore we provide exclusive services to suit your needs.